The JH36 closed type power press machine uses multi-link drive with two kinds of modes: slow processing and fast return. The two-point quick return of press increases the production efficiency by about 30% when compared to traditional crank presses. The press has a high precision and meets the first class JIS standards. 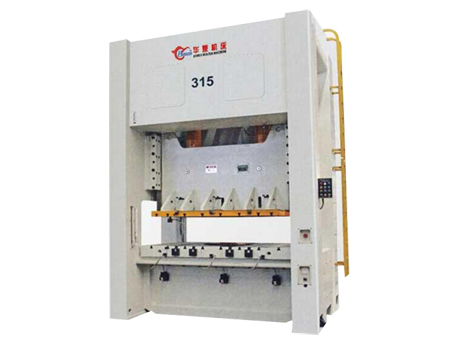 The machine uses welding technology and has a high rigidity. The press uses a long guide rail with eight sides to ensure the accuracy. The JH36-110U JH36-160 model uses a six-sided guide rail. A dry-type pneumatic friction clutch is required so that the clutch can easily engage or separate from power, and the clutch will not overheat during short periods of time in a semi-clutch state. 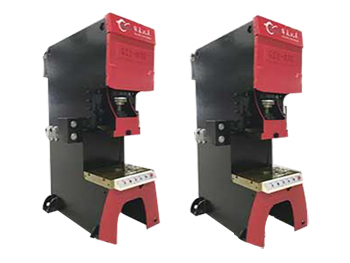 Hydraulic overload protection function with high sensitivity protects the machine from being severely damaged due to incorrect operation. 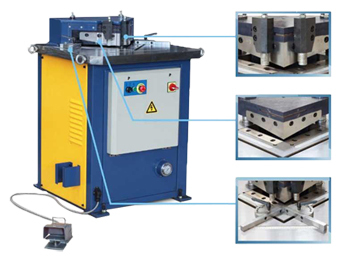 The lubricating oil can be automatically added to this power press machine, so the machine is not easy to be worn. 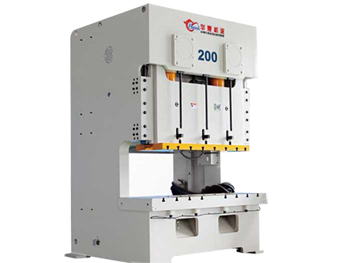 The machine uses frequency conversion and frequency modulation to ensure machine operation accuracy as well as an excellent stability. PLC centralized control makes user operation easy. 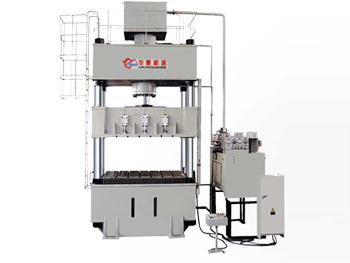 The equipment can be customized according to customer needs, including an output shaft, air cushion, sliding block feeding, automatic feeding and other devices.